Supermodel Adriana Lima puts in a lot of work to maintain her bombshell, camera-ready look. The Victoria’s Secret Angel has been sharing her workout routines for years, with boxing and yoga taking center stage in her fitness regimen. Now, Lima is out to let Us in on a few more of her wellness secrets. The beauty created The Adriana Lima Store on Amazon filled with all of her favorite fitness products, apparel and so much more. From gadgets for creating healthy meals to yoga accessories that improve flexibility, the store is full of everything we need to put our health first. Here are some of Lima’s favorites that we plan to scoop up for ourselves to train like a VS Angel. The Prosource Fit Acupressure Mat and Pillow Set is meant to reduce muscle tension and pain in the back, neck and head. The set is also designed to relieve stress, increase energy and improve blood circulation. The mat has 6,210 acupressure points while the neck pillow has 1,782 and comes with a guide that explains how to use it for relief from different aches and pains. Shoppers shared that this mat is great for laying down on to relax and relieve stress. The mat and pillow set comes in seven colors including black, pink and green. See it: Scoop up the Prosource Fit Acupressure Mat and Pillow Set with free shipping in different colors starting at $17. Prefer a different fitness pick? Check out The Adriana Lima Store for more! Please note, prices are accurate at the date of publication, January 7, 2019, but are subject to change. Adriana Lima is the women’s training ambassador for Puma, so it only makes sense that designs from the brand made their way to the supermodel’s Amazon store full of fitness favorites. 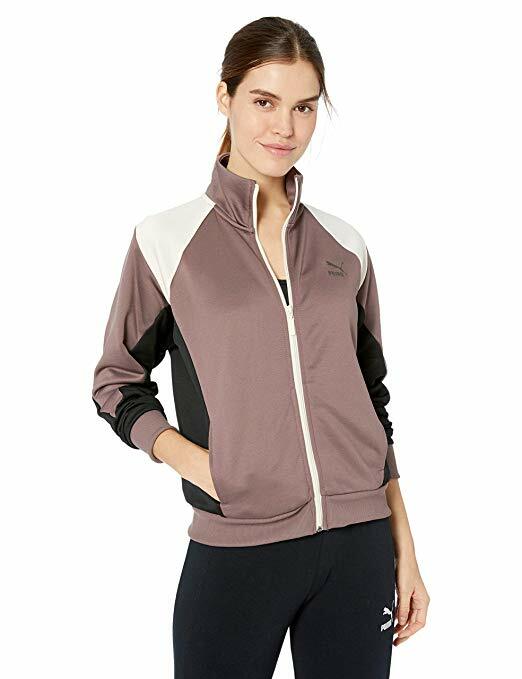 The Puma Women’s Retro Track Jacket has a color-blocked style with three neutral colors that are easy to mix and match with the rest of our wardrobes. The jacket also features raglan sleeves and practical side pockets. We’ll be layering this jacket over long sleeve T-shirts, leggings and sneakers for the gym but we can also step out wearing skinny jeans and cozy Ugg boots. Sizes range from extra small to XXL. See it: Scoop up the Puma Women’s Retro Track Jacket starting at $56 while so many sizes are in stock. Prefer a different fitness pick? Check out The Adriana Lima Store for more! Please note, prices are accurate at the date of publication, January 7, 2019, but are subject to change. Adriana Lima is an avid yogi so naturally, she added her favorite yoga accessories into the mix! 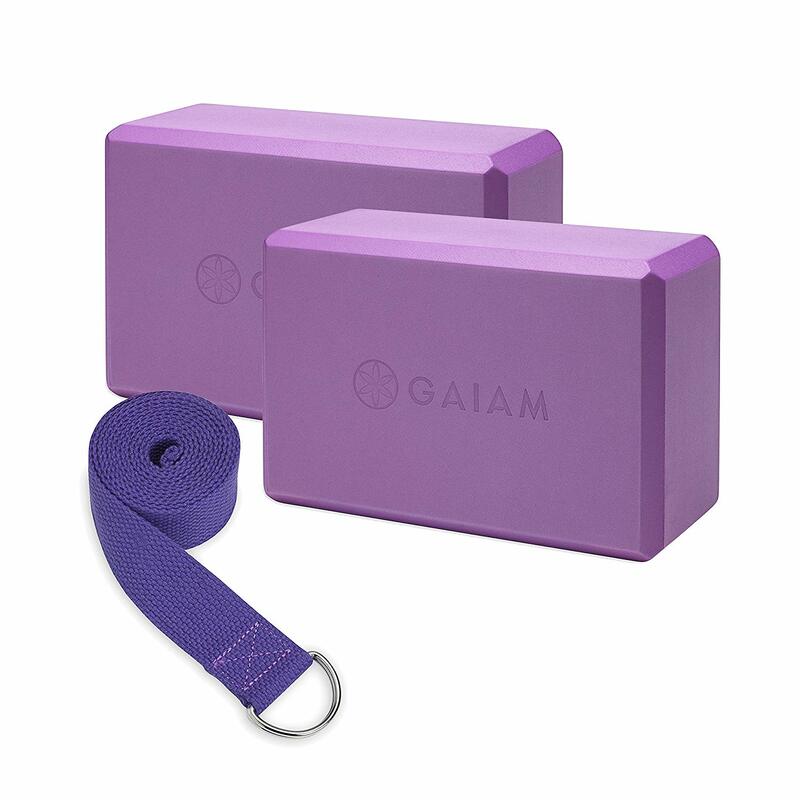 The Gaiam Essentials Yoga Block 2 Pack & Yoga Strap Set is meant to help during yoga poses that require stability and extra balance. Shoppers who already own and use this set shared that it’s especially great for anyone who does yoga at home. They especially appreciated the strap and shared it improved their flexibility with certain poses. See it: Scoop up the Gaiam Essentials Yoga Block 2 Pack & Yoga Strap Set for $17 while two colors are in stock. Prefer a different fitness pick? Check out The Adriana Lima Store for more! Please note, prices are accurate at the date of publication, January 7, 2019, but are subject to change. Adriana Lima has been open about how much she loves boxing and has incorporated it into her workout routine for years. Boxing was also part of her secret weapon for toning up for the annual Victoria’s Secret Fashion Show. These Everlast Pro Style Training Gloves have full padding on the front and back of the wrist and a ThumbLok feature for keeping the thumb and fist positioned correctly to prevent injury. These gloves are available in four colors in sizes ranging from eight to 16 ounces. Shoppers who own these gloves appreciate that they are easy to put on and that they are available in different weight choices. 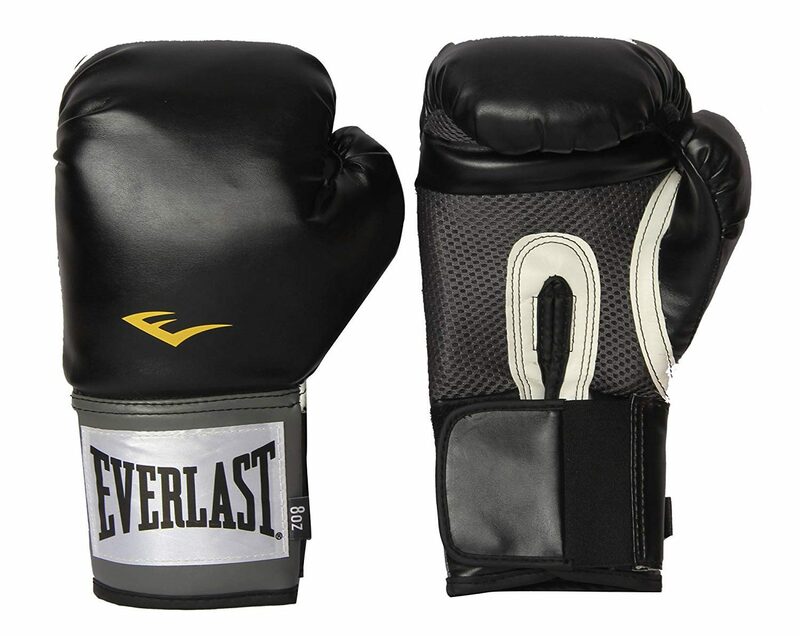 See it: Scoop up the Everlast Pro Style Training Gloves starting at $20 with free shipping. Prefer a different fitness pick? Check out The Adriana Lima Store for more! Please note, prices are accurate at the date of publication, January 7, 2019, but are subject to change. We love a quality pair of leggings and apparently, Lima does too! These Puma Women’s Retro Leggings have a mixed panel design with metallic fabric that gives them a fun, edgy look. The workout tights are available in three colors including black, pink and brown. Sizes range from XXS to XXL and are available based on color. See it: Scoop up the Puma Women’s Retro Leggings starting at $40. Prefer a different fitness pick? Check out The Adriana Lima Store for more! Please note, prices are accurate at the date of publication, January 7, 2019, but are subject to change. 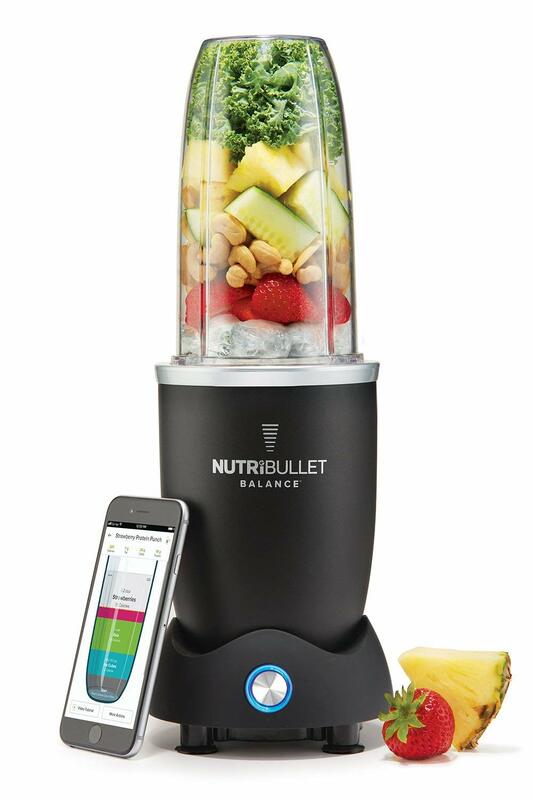 The NutriBullet Balance isn’t the average blender! This one has a Bluetooth smart nutrition sensor that connects to the NutriBullet Balance App. The app calculates the nutritional value of our smoothies and also allows Us to set and track nutrition goals, track pantry items and customize our shopping lists. The NutriBullet comes with an optimum wellness plan. See it: Scoop up the NutriBullet Balance, Bluetooth Enabled Smart Blender with free shipping starting at $145 while it’s still in stock. Prefer a different fitness pick? Check out The Adriana Lima Store for more! Please note, prices are accurate at the date of publication, January 7, 2019, but are subject to change. The Puma Muse Satin En Pointe is the perfect lifestyle sneaker for street style or for light fitness activities. The sneaker is available in four colors which are Peach Beige, Puma Black, Paradise Pink and Dusty Coral. Sizes range from 5.5 to 11. See it: Scoop up the Puma Muse Satin En Pointe starting at $50 while it’s available in four colors. Prefer a different fitness pick? Check out The Adriana Lima Store for more! Please note, prices are accurate at the date of publication, January 7, 2019, but are subject to change.